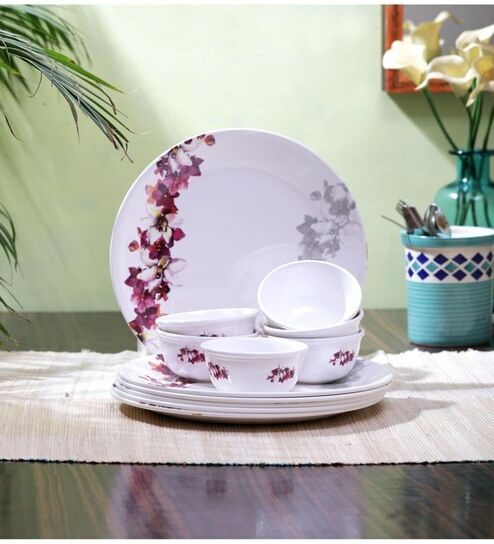 Servewell is one of the leading manufacturers of Melamine Decorative Tableware in India. With its classy designs and top notch quality it has become a household name across the world. Its presence can be felt in all major stores across cities within India and overseas. Made from 100% food grade melamine, they are decorated with beautiful artwork from exclusive and wide range of design portfolio which is constantly escalating in line with the new trends. Each of these products is BPA free and comes with the most coveted feature for Indian hosueholds, that of 'No Turmeric Stains "( Haldi daag ). These sets are microwave and dishwasher safe. A one stop-shop for home decor and furniture, Pepperfry sells a home product every 30 seconds.